Five Random Action Figures, Part 22! I didn’t want the Countdown to slip by without at least one Halloween-themed edition of Five Random Action Figures, so here you go! My criteria was simple. 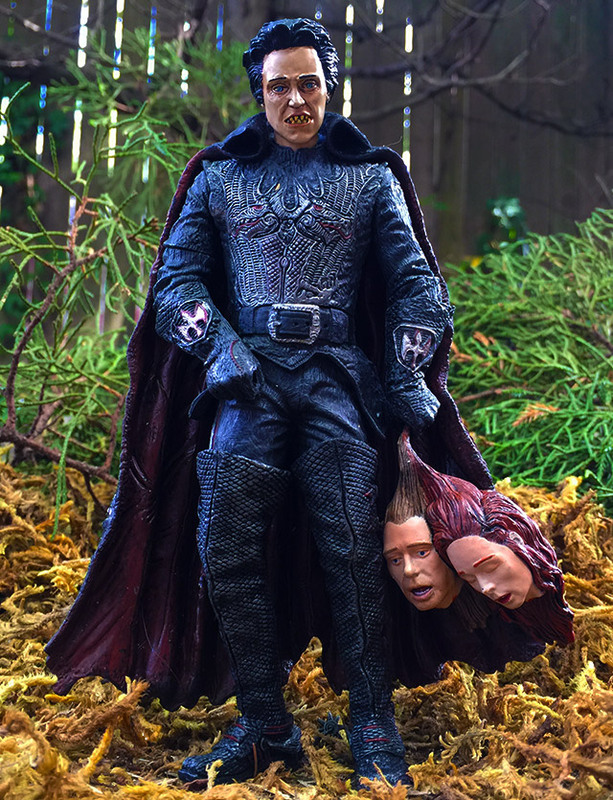 “Would the figure look good on my Halloween Mood Table?” If the answer was “yes,” it was safe to include. My pal Anthony donated this one, thereby guaranteeing himself lifetime access to one of my kidneys. I’m a huge fan of Sleepy Hollow, and — with the admission that I may be in the minority on this — consider it one of Tim Burton’s best movies. 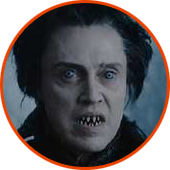 The movie would’ve meant so much less without Christopher Walken as the Headless Horseman, though. God, guys! It had to be one of his easiest paychecks ever, but he was SO good in this. Wheeee, finally! My apologies for the small delay in giving you the scoop on this month’s Funpack, but I think you’ll agree that it was worth the wait! 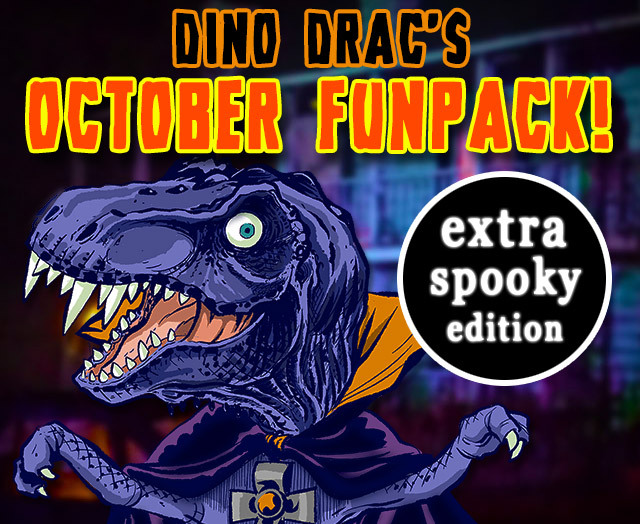 Dino Drac’s October 2015 Funpack is available now! Subscriptions open to those in the United States only! For those new to the site, I mail out Funpacks every month to anyone willing to pony up. The price is $25 a month, and that includes shipping. You can cancel anytime without penalty, but for as long as you remain a subscriber, you’ll get a new Funpack every month! You can skip to the bottom of this post for additional information on subscriptions, as well as the link to get started. First, let’s take a look at what’s in this month’s box! 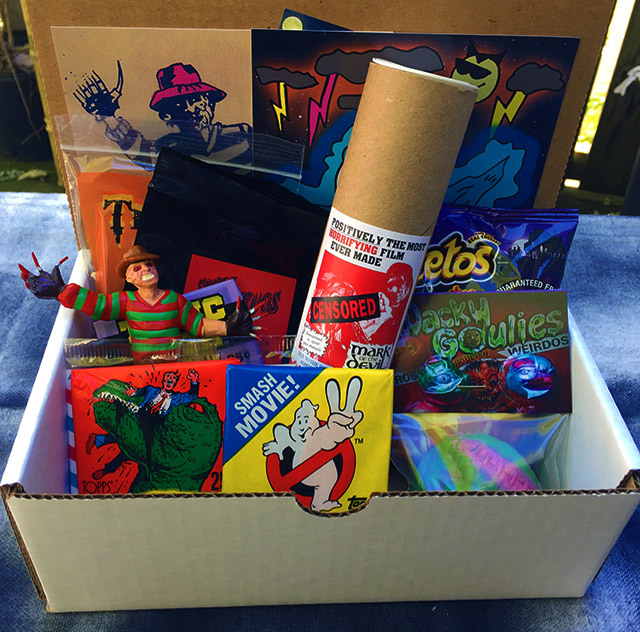 Oh yeah, it’s a box of complete Halloween madness, stuffed with over TEN creeeeepy items! Toys, collectibles, decorations… even snacks!